Google yesterday probably blown a major attack. 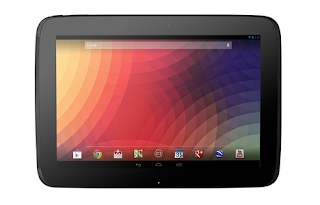 With the Nexus 4 smartphone and tablet Nexus 10 of the search engine giant will probably finally make Apple an end. For these two devices to the absolute competitive price and in addition Android 4.2 will not only make the apple from Cupertino to create, no other smartphone manufacturers are well dressed warm. Now there is a nice Behind the Scenes video from Nexus 4, Nexus 10 and the new Android 4.2. There show the developers responsible for the new smartphone and tablet detail and also from Android 4.2 to get a good look. The video is from the guys from The Verve and became really cool.